Since the winner of our Superlux HD562 giveaway did not contact us by any means within the allotted time, we will raffle it off again to our readers. Check the whole post after the break to know how. As usual, we will be using Rafflecopter as the medium to facilitate this giveaway. To join, simply follow the instruction given by the widget below, please do them properly and diligently in order for your entries to be qualified, failure to do so will result to invalid entry, thus losing the prize. To give a brief introduction of the Superlux HD562, it is one of the most popular bang-for-buck supra-aural, on-ear, closed back headphones, which delivers great audio output through its 39mm drivers. 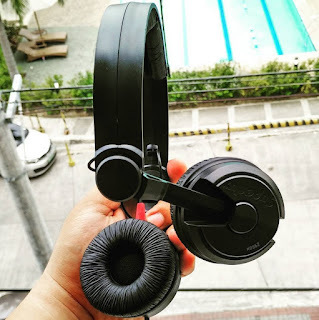 It is distributed by Xoti Corporation and available in leading audio and lifestyle stores in the country and online via Lazada Philippines. By the way, we are also running the Kata i4 Giveaway, which you can find here.